It was a tough question as I had no one-word answer. Throughout my life (a long period, believe me) I have loved all well written fiction. Well we came across well written fiction only. Initially it was Nancy Drew or Hardy Boys and heck I read even Noddy to quench my thirst for books. In senior school it started with that one book of Georgette Heyer. As they say too much of anything is boring, I started to crave for other stimulation (Nancy Drew effect) rather than only romance. I came across two authors Jeffery Archer (Prodigal Daughter) and Frederick Forsyth (Day of Jackal) and I was thrilled to the core. I read all the books published by them wherever I could lay my hands on them and came to realize I am loyal to one author at a time. So, after my reading affair with the above two, the sequence of my author’s phase went something like this; Mario Puzo, Ayn Rand, Robert Ludlum (great story teller), Sydney Sheldon, John Grisham, Harry Potter series, Judith McNaught, Meg Cabot (courtesy my daughter) Georgette Heyer, Nora Roberts, … the list is endless. In between there were Jane Austen, Margaret M Mitchell, JRR Tolkien, Daphne Du Maurier, Dan Brown and recently the Indian authors Chitra Banerjee, Indu Sudarshan, Anuja Chauhan. When there were no books available I also read Prem Chand’s novels in Hindi (from my father’s collection) and ChandraKanta Santati (the first fantasy series for me). So what was the question? Oh yes… the dilemma of naming the genre I like. Still I am nowhere near the answer! Thanks to all the talented authors. I salute them on this day for giving numerous hours of entertainment. 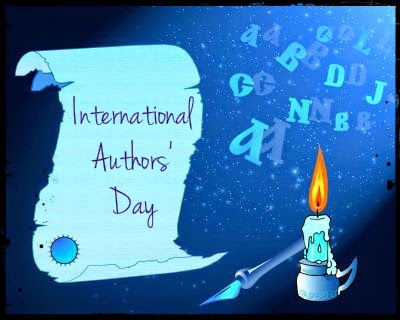 Dedicating this post for International Authors Day a blog hop hosted by Debdatta Sahay.